If you browse a website in Safari on your iPhone, you may receive a pop up warning message before being allowed onto the website. 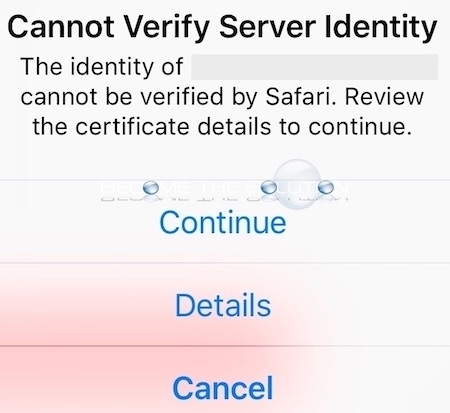 The identity of “” cannot be verified by Safari. Review the certificate details to continue. This is very likely due to 2 reasons as mentioned already on the Internet. Your browsing a website that originally used an SSL certificate for secure browsing (HTTPS) and now the website no longer has the certificate installed. Read more here. 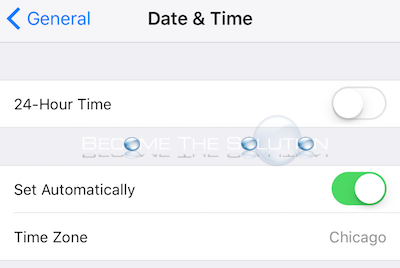 It is a date and time related issue on your iDevice. Somehow, your device time and date is off or misconfigured and you need to resync it. Go to Settings -> General -> Date & Time and toggle on/off the Set Automatically button. Try browsing the same website again to see if the error disappears. Let us know if this does not work for you.